Volunteering is a wonderful activity that not only helps others, but it makes you feel good, too. When you lend your time, talents, and energy to others or a good cause, you’re making a difference in the world one person at a time. Some studies have shown a positive correlation between people who volunteer living longer, healthier lives. 1: Which of these volunteer activities piques your interest? 2: If you were donate money to a charitable organization, which would you want to give money to? 3: Which of these scenarios do you think would make you feel happiest? 4: Which personality trait best describes you? Your time and efforts would be best paired with an animal orgazination, whether that’s volunteering your time at a local animal shelter, offering to help out at a zoo or acquarium near you, or even walk dogs for elderly neighbors. If you don’t have a lot of free time, you could gather up donations of old blankets, sheets, and towels to drop off at a nearby shelter. Look into volunteering witht the American Society For The Prevention Of Cruelty To Animals® (ASPCA). You’ll love wearing our Prints of Love Charm Bangle with its adorable paw print charm. A portion of the proceeds give back to the ASPCA. You love spending time with kids! Find a volunteer organization that would benefit from your energy, patience, and desire to be a fun mentor to a child. Check out Big Brothers Big Sisters of America, or a similar organization, and find projects where you can laugh and play with children. Some organization require weekly commitments while others are one-off adventures to a local attraction. If your busy schedule doesn’t allow much time for volunteering, reach out to a mom or dad friend and offer to watch their child for free once in a while. We promise, they’ll be eternally grateful. You might want to add this sweet Elephant Charm Bangle to your collection, which donates money to the charitable Friends of Jaclyn organization that pairs athletic programs up with children with brain tumors and cancers to offer lifelong friendship. Check out the rest of the children’s charities we support. You love helping peers improve their careers! You want to give back by lending your computer, business or career skills to those less fortunate. Check out your local library, labor office, or community center to see if your talents can be put to good use. Consider becoming a mentor to a local entrepreneur through the Small Business Association website. The PATH OF LIFE charm bangle reminds us that we’re all not that different and that we are intertwined with one another, including those less fortunate. 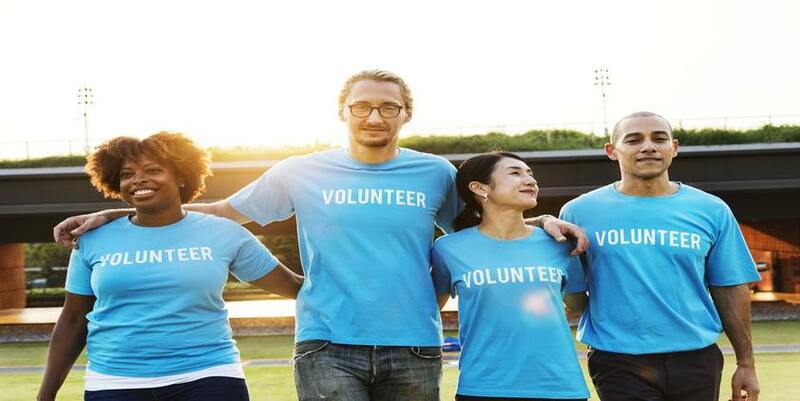 You know that there’s a lot of wisdom to learn from older generations and this often-overlooked group has a lot of opportunities for volunteering. Search for volunteer programs through local senior centers and community centers. Volunteer projects with seniors could include: computer literacy, conversation, helping them run errands, cooking meals for them, playing games, or doing art projects. Wear the Ode to the Owl charm bangle as a reminder of the wisdom and intelligence the seniors you’re helping can bestow upon you. Pull on the Live a Happy Life Bangle when you want to be reminded that every day is a beautiful gift. Proceeds from this purchase will help cancer patients and their families. You love creating a cleaner, better environment. You don’t mind getting down and dirty taking care of a local park, cleaning graffiti off of walls, planting trees and shrubs to enhance the appeal of your neighborhood, or finding ways help others get cleaner water. Consider volunteering with national parks near you, plant trees in your neighborhood, volunteer at a farm, clean up a local river, or finding an advocacy group you can lend your talents to. The Pinecone charm bangle will remind you that one pinecone alone can create an entire forest, and that every small deed you’re doing for the environment has a positive impact for the future of our planet. Read the full article on Alex + Ani.